You know sometimes you haven't the words to describe what you hear from a band. Some days ago, Pictures of Pain, sent to us their latest demo CD which has three songs and about eighteen minutes of pure metal music with a unique sound. What is the unique thing in this band is the fact that they have included various elements from heavy metal to thrash metal and from death metal tunes to more melodic lines. The vocals are also weird, so you will have the chance to hear from melodic vocals to more extreme and aggressive. 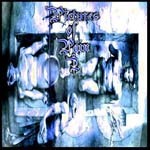 Generally we can say that Pictures of Pain is an intelligent band, they don't have borders to their music and they have write some really impressive compositions with very interesting ideas and i am sure that the fans of many kinds of metal will find some interesting moments in their demo CD. Last but not least, i believe that Pictures of Pain can have fans from all over the metal music world if they continue to work hard and to make unique music. We will hear from them really soon. Support this band and you won't regret it. Go to their webpage and download their songs for your own satisfaction.